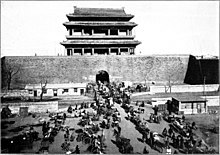 Beijing (/beɪˈdʒɪŋ/, nonstandard /beɪˈʒɪŋ/; Mandarin pronunciation: [pèi.tɕíŋ] ( listen)), alternately romanized as Peking, is the capital of the People's Republic of China, the world's third most populous city proper, and most populous capital city. 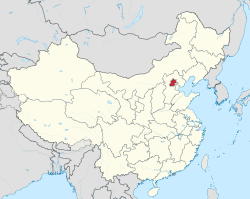 The city, located in northern China, is governed as a municipality under the direct administration of central government with 16 urban, suburban, and rural districts. 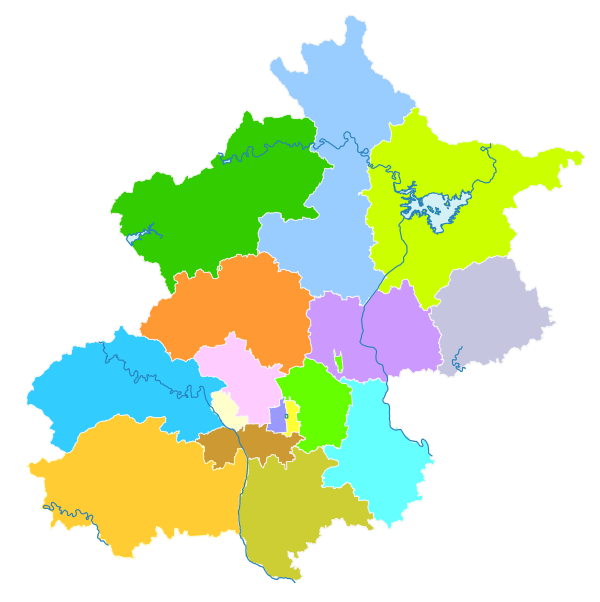 Beijing Municipality is surrounded by Hebei Province with the exception of neighboring Tianjin Municipality to the southeast; together the three divisions form the Jingjinji metropolitan region and the national capital region of China. 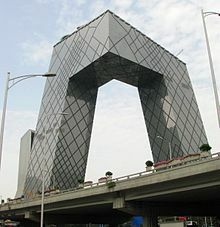 ^ "Beijing Municipal Bureau of Statistics and NBS Survey Office in Beijing". Beijing Bureau of Statistics. 23 January 2019. Retrieved 24 January 2019. 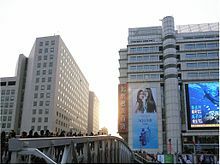 ^ 北京市2018年国民经济和社会发展统计公报 [Statistical Communiqué of Beijing on the 2018 National Economic and Social Development] (in Chinese). 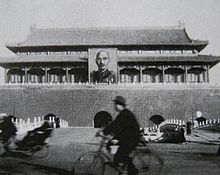 Statistical Bureau of Beijing. 23 January 2019. Retrieved 24 January 2019. ^ Robert Hymes (2000). John Stewart Bowman (ed.). Columbia Chronologies of Asian History and Culture. Columbia University Press. p. 42. ISBN 978-0-231-11004-4. 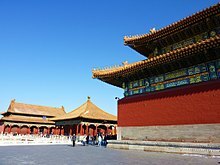 ^ 中国地面国际交换站气候标准值月值数据集（1971－2000年） (in Chinese). China Meteorological Administration. Retrieved 4 May 2010. 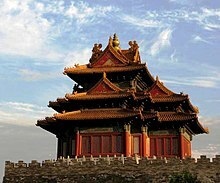 ^ "Beijing". China Meteorological Data Sharing Service System. December 2013. Retrieved 1 January 2014. ^ Burt, Christopher C. "UPDATE June 1: Record May Heat Wave in Northeast China, Koreas". Wunderground. Retrieved 1 June 2014. ^ Greenstone, Michael (12 March 2018). "Four Years After Declaring War on Pollution, China Is Winning". The New York Times. ISSN 0362-4331. Retrieved 15 January 2019. ^ Zhao, Xiaoli; Yu, Xueying; Wang, Ying; Fan, Chunyang (1 June 2016). 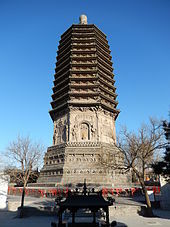 "Economic evaluation of health losses from air pollution in Beijing, China". Environmental Science and Pollution Research. 23 (12): 11716–11728. doi:10.1007/s11356-016-6270-8. ISSN 0944-1344. PMID 26944425. ^ Maji, Kamal Jyoti; Arora, Mohit; Dikshit, Anil Kumar (1 April 2017). "Burden of disease attributed to ambient PM2.5 and PM10 exposure in 190 cities in China". Environmental Science and Pollution Research. 24 (12): 11559–11572. doi:10.1007/s11356-017-8575-7. ISSN 0944-1344. PMID 28321701. 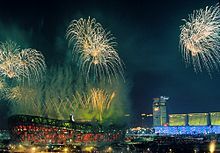 ^ "2017年度北京市土地利用现状汇总表". 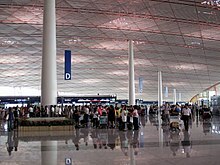 ghgtw.beijing.gov.cn. Retrieved 13 January 2019. ^ Roxburgh, Helen (19 March 2018). 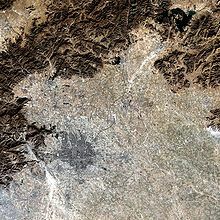 "China's radical plan to limit the populations of Beijing and Shanghai". the Guardian. Retrieved 16 August 2018. 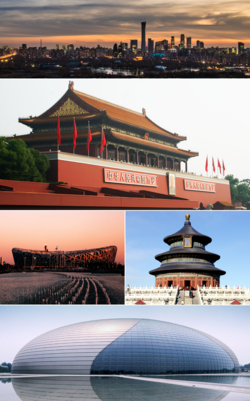 ^ "Beijing, Jeonju, and Norwich named UNESCO Creative Cities | ASEF culture360". culture360.asef.org. Retrieved 3 October 2018. 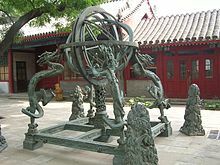 ^ "朝阳文化--文化遗产". web.archive.org. 24 September 2015. Retrieved 21 February 2019. ^ "Beijing Standardizes Translations of Road Signs". Shanghai Daily at china.org.cn. 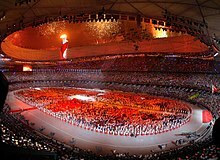 24 March 2006. Retrieved 28 October 2018.